One of the first things I wanted to do when I got my new high refresh rate Freesync monitor set up was play something I knew ran really smoothly to begin with in order to really feel the difference from a 1080p, 60 hertz, non adaptive sync panel and the new 144 hertz screen at 1440p. So I reinstalled Doom. At first of course I was pretty blown away by the glassy smoothness at high frame rates, but I was also reminded -Doom is friggin awesome. I'm not gonna review Doom. It was great when it came out and It's still great now. If you take anything away from this let it be that. I was just surprised how good it still felt. I mean let's face it, the original Doom, Doom 2 blah blah iteration after iteration, mod after mod, Doom 3 etc. they were good for their time but none of them were really "good". That hurts to say because Doom was such a huge hit in the 90's and is still now mostly fun. But they don't really hold up very well in my opinion. Not to say they aren't competent titles still, but they haven't really aged well. I know... I know that's sacrilege but don't throw your laptop across the room yet. 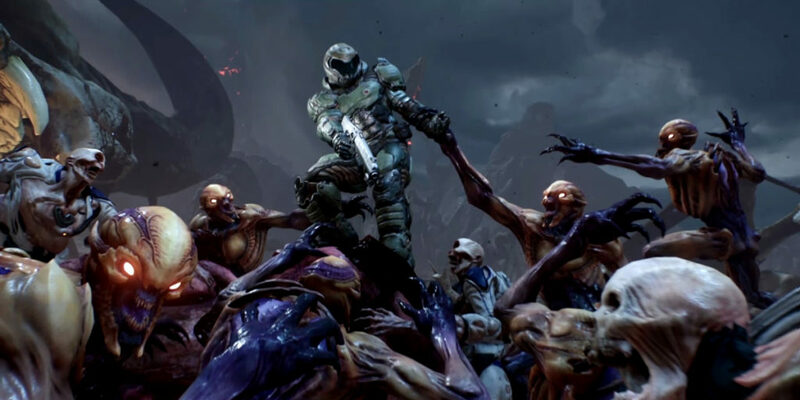 ID Software are no slouch when it comes to making a shooter. From, Wolfenstein to Doom to Hexen and Quake and their respective franchises, ID has always had the chops. Hexen, by the way, was fantastic and truly underrated. Quake is where I spent my 90's. 640 by 480 on my 17 inch CRT telefragging my buddies at LAN parties and tournaments. Quake was the first true 3D shooter with that "Z" axis letting you look up and down and all around for god's sake it was dizzying. But amazing. It was also the first game to use hardware acceleration, I.E. a graphics card. The 3dFx Monster Voodoo card in fact. With it's 50 MHz core clock and up to 8 MB of VRAM it changed the gaming world as we knew it. I got one and I was blown away by how it made all those little jagged pixels look smoother and I was able to run at 800 by 600 at 60fps, incredible. Those cards also came bundled with a game called HyperBlade, which was an awesome kind of hockey-esque title that took place in a bowl shaped arena. That was by Activision and it was cancelled before it's full release. I think they should reboot it, it could give E-Sports titles a run for their money now. But the point is that Hyperblade showed off the texture mapping that was possible and fully changed how we saw the gaming world. Anyway, now I'm rambling I guess but the fact remains that without ID making epic shooters things might have been different in terms of hardware acceleration and the oceans may have dried up and we'd all be drinking reclaimed water from the bodies unfortunate folks who drew the short straw in the water and power lottery. True story. Alright anyway, Doom 2016... Bethesda absorbed ID and thankfully left them with creative control and the funding to build a new, but classic feeling, shooter. Graphically, it was brilliant. 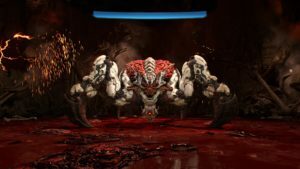 Using ID Tech Engine 6 and optimised for the new Vulkan API, Doom was running at higher frame rates than it had the right to. There's an actual narrative now, not just -kill demons, read what happened. And the introduction of the Glory Kill mechanics that allowed players to stay alive by weakening enemies and and then bashing them soundly about the face and body resulting in health, armor and ammo drops. 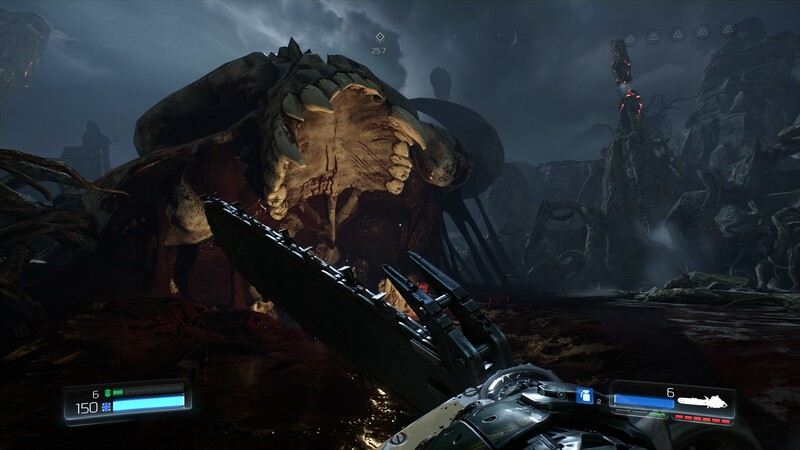 On top of that, the iconic Chainsaw was brought back and made useful by brutally chewing through demons and spewing all the ammo you can carry on the ground, as long you had fuel for it. These two mechanics by themselves kept the progression moving forward and the action fast paced while still feeling like a challenge at higher difficulties. Don't even get me started on that crunchy sound track. On a quick but rather important side note: I did notice something terribly wrong with the Chainsaw. The teeth are facing the wrong direction! For that to be effective the chain would have to travel toward the user and friction would kick it back and drive the bar into the dirt, or worse, before it ever damaged a tree. Let alone a demon (presumably). The game has it traveling forward as it should, but with the teeth facing backwards they would act more like tiny hammers than they would saw teeth. They'd be getting hung up and bouncing around and breaking off. 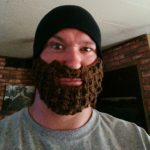 Not to mention, that's a safety chain. 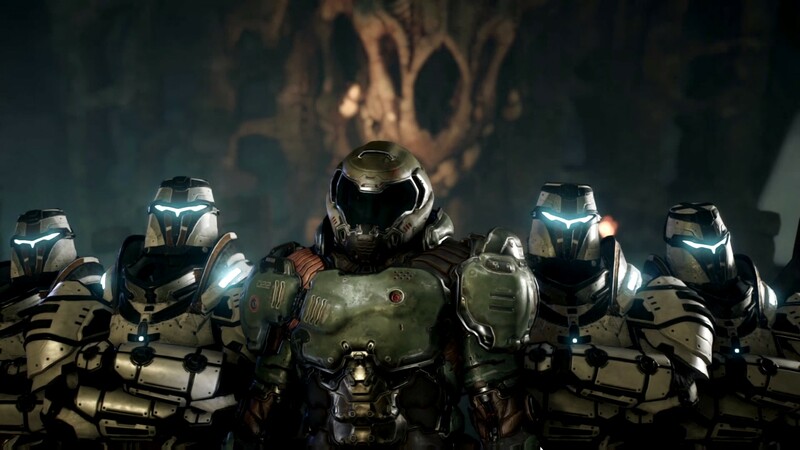 I doubt the Doom Slayer would be satisfied with a safety chain. Huh... Moving on I guess. That all still holds up now. Playing at 1440p at 160 to 200 FPS on a game that looks that good is unheard of. Except maybe the F1 titles. But for that much action to be going, all those particles and reflections and textures... amazing. Voice actors did a great job. Level design is still wonderful. Funneling players to where they need to be while secreting away collectibles and hidden original maps to be viewed later. Fan service without compromising quality. For all it's brutality and what some would call senseless violence, it just makes you smile. There's also lots of lore and info to be found as you play. Which is great because I, for one, always wanted to know why the Mancubus is what it is and so on. Perhaps the biggest addition is the weapon and character progression. Points are gained by completeing level challenges and punching drones in the face for upgrades that can turn your shotgun into a secondary grenade launcher, or your chain gun into mobile turret. Your Praetor suit is upgradeable to protect you further, carry more ammo and increase your overall health. You'll even get a double jump. 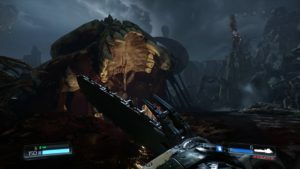 Long story short, Doom 2016 is still about as perfect a reboot as one could ask for. It's faithful, it brings something new to the table and it still feels like it just rolled off the line. It's incredibly good even nearly three years later and if you haven't played it, it's only $20. 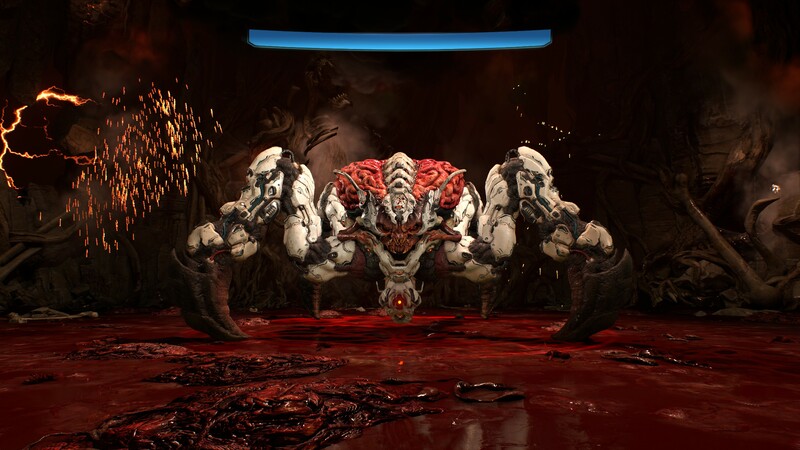 Playing through it again now just makes me more excited for Doom Eternal. And ID is still the team to make it happen.